Researchers found that from 2007 to 2016, 776 products marketed as dietary supplements contained hidden active ingredients that are unsafe or unstudied. A dietary supplement that promises to make consumers skinny, without dieting or exercise. Or the one that will bulk them up and turn them into the envy of other weightlifters at the gym. Not to mention the one to make them perform better in the bedroom. Their labels say they are safe and all-natural. But are they? Researchers from the California Department of Public Health found that from 2007 to 2016, 776 products marketed as dietary supplements contained hidden active ingredients that are unsafe or unstudied. Among them, dapoxetine, an antidepressant that is not approved in the United States, and sibutramine, which was included in some weight-loss supplements but was banned from the U.S. market in 2010 because of cardiovascular risks. “It’s mind-boggling to imagine what’s happening here,” said Dr. Pieter Cohen, an associate professor of medicine at the Cambridge Health Alliance in Massachusetts. Cohen wasn’t involved in the study but wrote a commentary published alongside the research. The California researchers based their findings on an analysis of a Food and Drug Administration database that identifies “tainted” supplements. “The study lays a foundation for ongoing enforcement work in this area, by the FDA and other partner agencies, to curb the illegal manufacture, importation, distribution and sales of adulterated dietary supplements,” department spokesman Corey Egel said in an email. Being tainted or adulterated means that the product contains active ingredients not listed on the label that fly under the FDA’s radar. 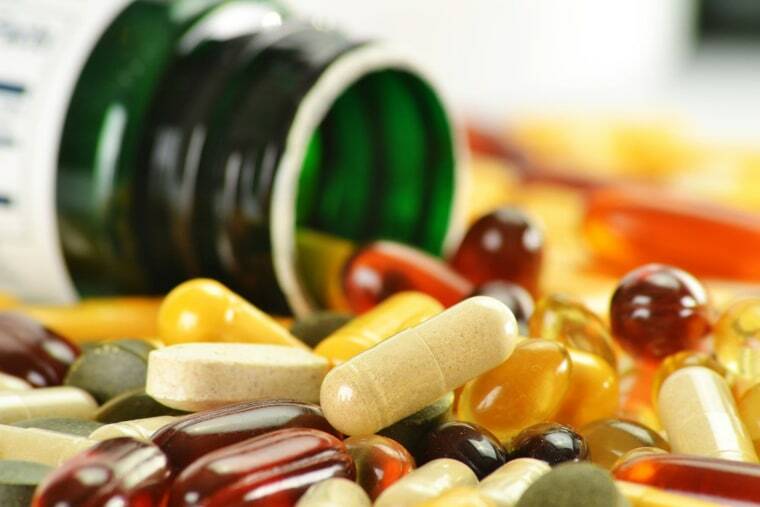 Dietary supplements aren’t classified by the FDA as drugs. They are instead considered foods. They include vitamins, minerals and botanicals. They are not intended to treat or prevent disease and are not subject to premarket safety and efficacy testing that drugs undergo. The FDA database tracked problems that emerged during “post-market surveillance” — for instance, adverse-events reports and consumer complaints — when bottles were already in consumers’ medicine cabinets. These issues generally draw FDA warning letters and agency requests for voluntary recalls by the manufacturer. With an estimated 50 percent of Americans consuming some type of supplement, researchers note that the $35 billion industry is a big business. But Duffy MacKay, senior vice president for scientific and regulatory affairs at the supplement industry’s Council for Responsible Nutrition, noted that with between 50,000 and 80,000 supplement labels on the market, 776 tainted products is serious but not widespread. Of the adulterated products, nearly 46 percent were for sexual performance, 41 percent were for weight loss and 12 percent were for building muscle. Ingredients like sildenafil, the active drug in Viagra, and ephedrine, a stimulant banned from diet pills since 2004, were found in supplements. Anabolic steroids, or ingredients like them, were in 73 of the muscle-building supplements. Nearly a fifth of these supplements contained more than one unapproved ingredient. “Adulterated dietary supplements have the potential to cause adverse health effects both on their own and also in combination with other medications an individual may be taking,” the authors wrote. Cohen agreed, noting that a patient with heart disease might be told to steer clear of prescription erectile dysfunction meds because they could interact with other prescription medications and dangerously lower the patient's blood pressure. Instead, that patient turns to over-the-counter supplements that are marketed as all-natural, thinking this product will not pose the risks he was warned about. “And that’s very worrisome,” said Cohen. Cohen suggested looking for supplements with a single ingredient, because they probably will have a lower likelihood of containing secret, harmful ingredients. And never trust a supplement that definitively says it can improve your health. That advice was echoed by MacKay, from the supplement industry’s trade group, who said outrageous claims about weight loss or body building are red flags. These products are sold online or by shady retailers and have ridiculous names like Ball Refill or Weekend Prince, he said. “There is such a difference between legitimate products and these products,” he added, noting that these “very extreme products” are marketed to “a consumer base that may be OK with this kind of illegal stuff.” That could include, he said, consumers who are “gym rats” and people who want Viagra without a prescription. But earlier research conducted by Cohen and cited in this study offered a different lens through which to consider the numbers. It pointed to shortcomings in the post-marketing surveillance system, especially the inability of physicians and consumers to identify an adulterated product as the cause of a health problem or to know that such things should be reported to the FDA. There’s little the FDA can or will do once a bad actor is identified. Supplement recalls aren’t like food recalls, Cohen said. With supplements, the FDA can only notify a company that its products have unapproved ingredients. It’s up to the company to conduct a voluntary recall. “The recall process itself has completely broken down as far as I can tell,” Cohen said.